Local Educational Facility Cleaning Company - Serving the Home Counties and Surrounding areas. Facilities that accommodate an abundance of children for several hours a day is bound to be a breeding ground for bacteria and disease if not maintained properly by a professional educational facility cleaning company. In today's environment, hygienic school cleaning and maintenance plans are critical to a school’s safety and daily operation. Rosca goes above and beyond to ensure the impeccable cleanliness of your school. With a clear understanding of your concerns and challenges, we provide cost-effective programs backed by unparalleled service. ROSCA understands educational facility cleaning and excel within this sector. We are your professional cleaning source for educational facilities cleaning including colleges, classrooms, day cares, child care centers, middle schools or high school! 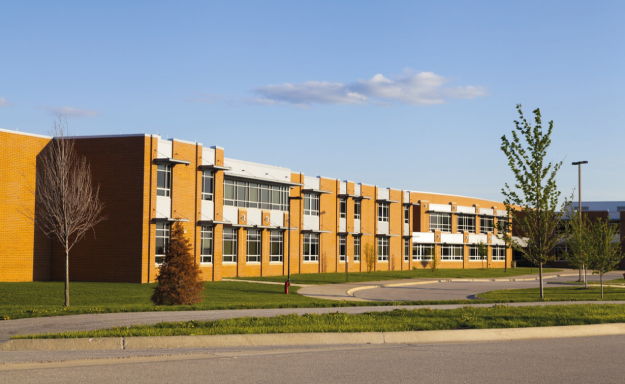 Well-managed, daily cleaning is critical to a school’s safety and operation. ROSCA work in conjunction with educational facilities, utilising professional equipment and supplies combined with well-trained, dependable cleaners. We can design a program that works with your facility and your budget. Our goal is to be your business partner for educational facility cleaning across the Home Counties and surrounding areas. We pride ourselves in providing the highest customer service which allows you to focus on your business, while giving your employees, customers, patients, or students reside in a clean environment. We can arrange a free demonstration on any area of educational facility and guarantee a superior clean which will help in determining whether your organization is currently receiving value for money and above all cleaning outcomes that satisfy and safeguard your students. ROSCA takes great pride in our reliable and quality service, and we feel sure you will be fully satisfied with our demonstration clean to the point where your organization will look favourable on engaging our services on a permanent basis. For our educational facility cleaning programs, we operate an all year round service and include non-urgent maintenance work even during vacation breaks. From day care centers through to technical colleges and universities, large and small, ROSCA can supply teams of fully trained and supervised staff. All our cleaning and maintenance staff are training to deal with the variety of tasks, which can include; playground areas, playground equipment, staff rooms, gym equipment, auditoriums, libraries, class rooms, desks, laboratories, washroom amenities, lunchrooms, cafeteria's, tables, chairs and dormitory cleaning for schools providing students with boarding accommodation. We also have a great range of Janitorial Cleaning Supplies that will be helpful for your day to day needs at competitive prices. For more information about our Educational Facility Cleaning Services, or for Janitorial Cleaning Supplies – Please call 0800 799 9149, or complete our Quick Quote Contact Form.